NJFIT is about improving the quality of life, safety and ease of travel for New Jersey citizens through making smart, lasting investments in its communities. There are eight FITness goals of the NJFIT program. These goals can be achieved through the application of various tools and programs. Success stories of how transportation has transformed communities into a healthier state are also provided. 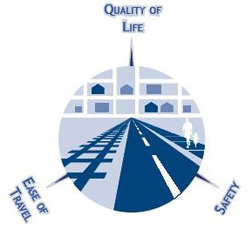 NJFIT is the umbrella program of several quality of life related initiatives such as Smart Transportation, Context Sensitive Design, Sustainability and Complete Streets. More information is available about these efforts in the Toolbox, Partnerships and Programs and Useful Links sections.